Just How New Is The 'New' GM? During her grilling before Congress, CEO Mary Barra insisted the new GM is different and better than the old GM. But are the company and its cars really new and improved? The answer is complicated. Just How New Is The 'New' GM? 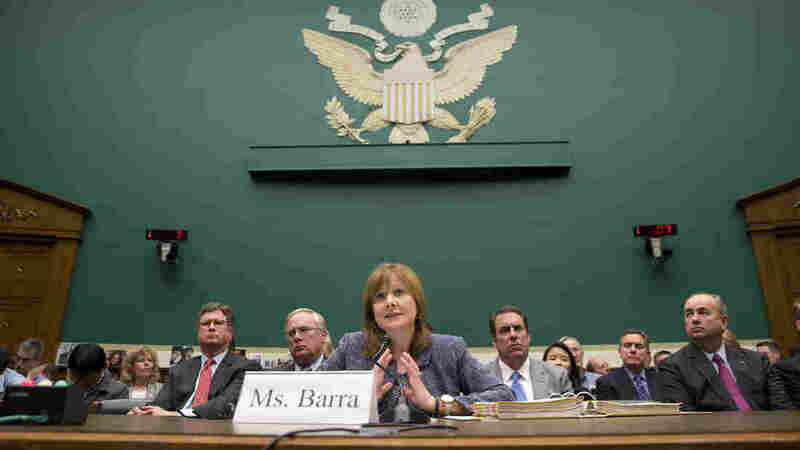 CEO Mary Barra told Congress that she sits at the helm of the new GM. Is the company new and improved? The answer is complicated. During her grilling before Congress last week, General Motors CEO Mary Barra insisted the new General Motors is different and better than the old one. So as GM begins to fix nearly 2.6 million vehicles for an ignition-switch defect that has been linked to at least 13 deaths, we decided to put that claim to the test. Exactly how new is the new GM? "The first rule in new GM is you never talk about old GM." But we want to talk about both the old and the new GM. How new is it, exactly? Starting with the actual products GM produces, the cars, we ask Director of Auto Testing for Consumer Reports Jake Fisher: How new are new GM cars? "The new GM is extremely different from the GM from before," Fisher says. "When we look at the products, the ones that have come out in post-bankruptcy have been far better in performance than what we saw before." Consumer Reports and Fisher have not historically been fans of GM. Fisher says the automaker is haunted by the zombies of the past — cars that are still in production that were designed before bankruptcy. "There are the new vehicles that are right at the top," Fisher says. "So when I look at large cars, the Impala, it's the best car. Not the best American [car], but the best car in that category. So when you look at those other vehicles that have been around for longer, they're kind of midpack. They're not at the top like the new ones." Next we ask a balance sheet expert, David Whiston, senior equity analyst at Morningstar investment research firm. He says the question of whether GM's financial situation is really new is complicated. "In some ways it's quite new and better, and in some ways it's still the old bureaucracy," Whiston says. The company has embarked on several key reforms that should make it more profitable, he says. The different divisions are more integrated. For instance, they take the architecture for one car and then sell it around the globe. "That should lead to a lot more economies of scale, a lot less waste," Whiston says. "They're going to save hundreds of millions in logistics costs by having more of their parts plants ... actually be right next to the assembly plant, rather than, say, a thousand miles away." Whiston says even if the company is fined by the government and faces expensive lawsuits and billions in recall costs, GM has the money to cover the losses. "That's a lot of money," Whiston says. "There's a lot of uncertainty, and Wall Street hates uncertainty." To learn about the structure of the "new" company, we turn to Stephanie Brinley, who's an analyst with IHS Automotive. Brinley says GM's culture has improved. "Especially when you take it to a really long time period, and you say 20 years," she says, "there is less arrogance within the company. They're more responsive." Brinley says the company tended to be more cost-conscious and less attuned to the whims of consumers. "There were points in their history where the cost accountants had stepped in and said, 'We can't quite spend that much money on some sort of thing,' " she says. The final thing to look at is GM's image. Has it changed? After weeks of controversy and testimony, jokes and bad press, the company's image seems to reflect the old GM, and that picture may stick around for quite a while.